At the request of an editor friend, the essay, about her son who suffers from mental illness, was republished using her real name and given the new title: “I Am Adam Lanza’s Mother.” In 750 words Liza Long beautifully articulated her private despair and frustration while helping give voice to the parents of four million children and adolescents in the US who suffer from mental illness and struggle to find care for their ill children. One of the hardest things for families of children with mental illness is the societal/self-inflicted isolation. The despair of failing your own child and the misplaced burden of culpability are major contributing factors to this isolation. “‘It was our fault,’” is what every parent wrestles with when struggling to accept their child’s mental illness. And these feelings of guilt are reinforced over and over—not just by society, but often by the very people who are supposed to help: mental health care providers who should know better. She wasn’t. One out of four families has a first degree relative suffering from a mental illness. 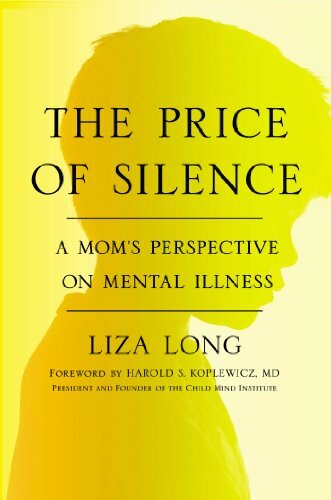 In The Price of Silence Liza Long integrates snapshots of her life with her mentally ill son with a well-researched overview of facts. These facts, along with interviews with other family caregivers, lay out the reality of the dismal state of the present mental health care system and the effects of stigma that are so ingrained in our culture. The frustration of families and what they must face when attempting to get help for their ill loved ones dominates every page. Throughout the book she cites many examples of what doesn’t work and alternative effective treatments. Funding and lack of access to effective treatments are not the biggest barriers. The biggest barriers are stigma and fear. The Price of Silence is a concise, heartfelt addition to books about mental illness, and is a must read for parents, mental health care providers, politicians, educators, and those in law enforcement.